Fellow of the Houston Bar Foundation. Dianne’s practice has been focused on Trust and Probate litigation for more than 20 years, including will contests, disputes concerning personal representatives, executors, and trustees, and disputes concerning estate administration. Dianne was voted a “Super-Lawyer” in 2009 (Super Lawyers is a Thomson Reuters service) and was named one of Houston’s top lawyers by H-Texas (2005, 2010-2013). She is Board Certified in Estate Planning and Probate Law. Dianne Lawter grew up in Houston, and attended Texas A&M on a four year academic scholarship where she received a BBA in accounting, with honors. She attended law school at the University of Texas where she graduated Order of the Coif. Dianne began her legal career in the Trusts & Estates section of Fulbright & Jaworski. In 1994, Dianne left that firm to form Lawter & Lawter with her husband. For more than 20 years her practice has been focused on trusts and estate litigation. She has litigated complex and hotly-contested matters, often with millions of dollars at stake, and has tried cases both to juries and to judges. 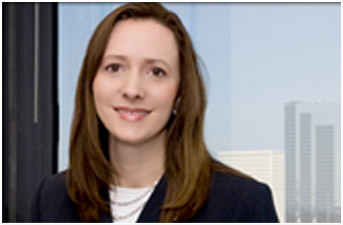 She has also represented clients before numerous Texas Courts of Appeal and the Texas Supreme Court. Dianne is known for having successfully crafted settlements on terms favorable to her clients in a number of cases in which there was little chance for settlement. Through the complex and often protracted and acrimonious litigation process, Dianne takes the burden off of clients and helps position them to be in the best position possible for favorable settlement or, if such a settlement cannot be reached, for litigation. Dianne is a member of the State Bar of Texas, Real Estate, Probate and Trust Law section and the Litigation section. 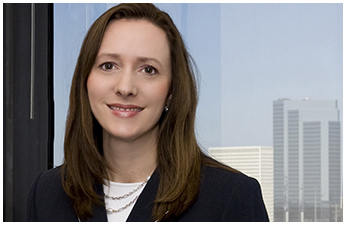 She is also a fellow of the Houston Bar Foundation and a past chair of the Houston Bar Association, Trust and Estates Law section, and is a recognized author and frequent speaker on trust and estate litigation matters. You’ve just lost a loved one, only to find out that an unscrupulous person has exerted undue influence on the loved one just prior to death so that they can gain the inheritance promised to you and your children over the course of a lifetime.Or perhaps a relative or a caregiver is taking advantage of a loved one who no longer has the mental ability to manage his or her assets. Maybe a bank or family member is doing a poor job of managing a trust or estate, or perhaps you’re the one who needs help managing an estate or trust in a hostile situation (or to avoid a hostile situation). You may have been wrongly accused of breaching a fiduciary duty owed to your family members or to someone else. Perhaps you need help trying to resolve disputes regarding community and separate property after the death of a loved one. Or maybe a family limited partnership or family business is not functioning properly because of family disputes and conflict. You might be worried that a family dispute over a valuable estate will be too expensive for you to pursue by paying a lawyer by the hour. You know what is happening is wrong, but yet you may believe that honest people never have to be involved in litigation. Or maybe you think you should never have to go to court with family. But yet there may be substantial funds at stake, which may not only affect your lifestyle, but also the future of those who depend on you. This is where our firm serves clients. 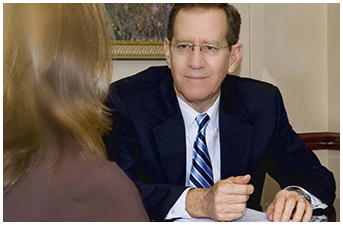 I and my firm help clients in a variety of difficult matters involving probate and estate administration. We help ordinary people who have been put into very difficult circumstances due to others and events occurring outside of their control. In helping clients, typically the objective is to re-gain control of these difficult situations as quickly as possible and to work towards achieving the best outcome possible for our clients. We’re here to represent you. We meet with you, review your case, plan strategy, and explore ways regarding how your interests may be protected. We seek to achieve favorable outcomes for clients prior to trial, but if one cannot be achieved, we’re ready and well-prepared to defend your interests through trial and appeal. We understand that litigation is a personal matter. Our job in protecting your interests is to remove the worry that is often associated with “who will be looking out for me?” We’ll be there for you every step of the way. When possible, we work with clients to develop fee arrangements based on their desires and the facts and circumstances of a case. While in some cases our fees will be based on an hourly rate, in other situations we may accept cases on a contingency fee basis, which means that we will only be compensated for our time and effort if we are successful in a recovery. We also sometimes offer alternative fee arrangements, which may involve a combination of an hourly fee and a contingent fee based upon certain objectives. There is no fee fee for this meeting, or any obligation to meet with us. Once we learn about your case, we can then explain the options available, and how we may be able to help you. Dianne Lawter was named one of Houston’s top lawyers (2005, 2010 – 2013) by H-Texas. She has been named “AV® Preeminent™ by Martindale-Hubbell, their highest rating, with a 5 out of 5 for Peer Review Rating. She has been named to the 2005 Texas Rising Stars list by Super Lawyers, and named a “Super Lawyer” for 2009 (Super Lawyers is a Thompson Reuters service), which listings were included in Texas Monthly. Moderator for the Panel Discussion at the Texas Association of Civil Trial and Appellate Specialists meeting, April 15, 2010: "How to Pick a Jury and Try a Will Contest and How a Will Contest Differs From Other Litigation"
Co-Author for the Annual Wills and Probate Institute, Houston, Texas, September 18-19, 2008; "Depositions in Probate and Trust Litigation"
Speaker for the State Bar Annual Meeting, Houston, Texas, June 12, 2003: "Practical Advice Concerning Will Contests and Other Probate Litigation"
Co-Author/Speaker for the 2002 Wills & Probate Institute, February 1, 2002: "Practical Advice to Estate Planning Attorneys Concerning Fiduciary Liability and Litigation"
Author for the Houston Chronicle's article published January 2000: "Requirements for a Valid Will"
Co-Author for the San Antonio Young Lawyers Association's Docket Call In Probate Court 2000: "What An Estate Planner Needs to Know About Litigation"
Co-Author for the Disability and Elder Law Attorneys Association 1999: "What An Estate Planner Needs to Know About Litigation"
Co-Author for the 9th Annual Advanced Drafting: Estate Planning and Probate 1998: "What An Estate Planner Needs to Know About Litigation"
Co-Author for the Legal Assistants Division 1997: "What An Estate Planner Needs to Know About Fiduciary Litigation"
Co-Author/Speaker for Elder Law Institute 1995: "Probate and Trust Litigation Update"
Co-Author for the Wills and Probate Institute 1994: "Tortious Interference with Inheritance Rights"
Co-Author for the Advanced Estate Planning and Probate Course 1993: "Fiduciary Liability - A Case Study"